The Playground One Extreme Playcenter Combo 4 offers all the features you want at the highest deck heights available. 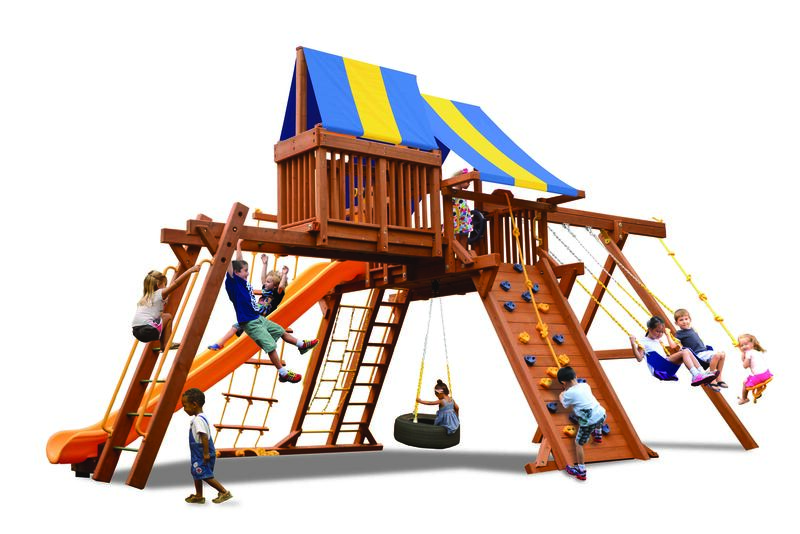 With a 7.5 ft deck height and 35 sqft of play area, the Extreme Playcenter offers the best bang for your buck. With a 15 ft Super Slide, 10.5 ft high swing beam, 4” x 6” Heavy Duty construction, Monkey Bars, Skyloft, Rockwall and Step/Chain ladders. Dare to compare and find out once again why Playground One will let your imagination FLY!